The Center for Asian Urban Societies (CAUS) explores East Asia from an urban perspective and strives to understand cities within the political, economic, social, cultural, and historical contexts of East Asia. Specifically, the center seeks for alternatives to East Asian urban issues which have resulted from developmental urbanization from the post-territorial and de-growth perspectives. Ultimately, the center aims to emerge as a frontier for research on Asian cities exhibiting academic excellence and practicality. 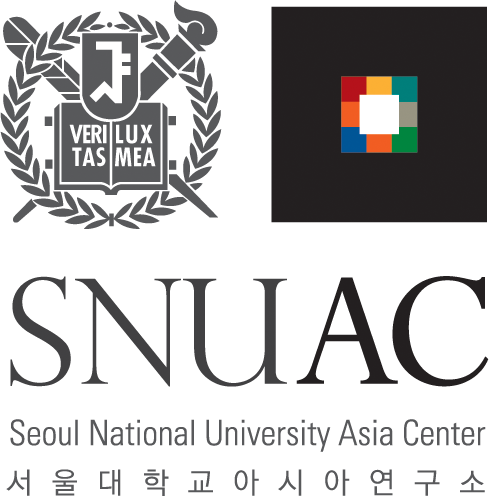 Since September 2017, the Center for Asian Urban Societies (CAUS) has advanced into the final, large-scale phase of Social Science Korea research project (NRF funded research) with the completion of the medium-scale phase which was conducted in the past three years. With the launch of the CAUS in 2017, the center will conduct research on the alternative urban paradigm with the agenda of examining “the feasibility of peace, commoning, and sustainability oriented East Asian urbanism in the era of post-developmentalism” for the next four years. Specifically, the center explores four aspects of post-developmentalist urbanism in East Asia: 1) inclusive, commoning cities, 2) de-growth, resilient cities, 3) sustainable cities for transition, and 4) post-cold war cities of peace. The center plans to propose alternative post-developmentalist East Asian urban paradigm through 1) focusing on the urban-centered multiscalar relationship, 2) emphasizing the commoning practice that challenges exclusive territorial ownership that drives speculative urbanization, and 3) examining de-growth urbanization measures that overcome growth-oriented productivism. Publication is major research outcome of CAUS in 2017. Most representative is Making Gangnam, and Following Gangnam which stipulates Korean urbanization as ‘Gangnam-ization’. The book scrutinizes the urbanization processes in regions including Gangnam, Bundang, and Busan by conceptualizing ‘Gangnamization’ as a fusion of 1) ‘making Gangnam’ as physically constructing and discursively reproducing process and 2) ‘following Gangnam’ as a process that unfolds during new town construction. This book has received wide attention within the Korean society after its introduction in major media. Other books include Spaces of Exception in East Asia which deals with special economic zones in East Asia, Living in Risky Cities which examines riskscapes relating to construction of nuclear power plants in East Asia, and For Public Spaces which highlights the dissipation of public space behind compressed urbanization. Lastly, Cold War, Division, and Urbanization which comparatively analyzed urbanization in North and South Korea, has received the 18th Korean Sociological Association’s Award for Academic Books. Director Bae-Gyoon Park and co-researcher Jamie Doucette undertook the planning for the special issue of “Urban Developmentalism in East Asia” in Critical Sociology and articles by co-researchers have been published in renowned international journals such as Annals of the American Association of Geographers. transformation of East Asian industrial cities from a geopolitlcal economic perspective and will investigate on each city’s economic resilience. The ‘Sustainable Cities for Transition’ Team will examine the ‘political-ecological urbanization’ of dam construction and reclamation, and will probe into the cases of cities for energy transition in the era of climate change. Park, B. G., & Hwang, J. T. (Eds.) (2017). Making Gangnam, following Gangnam. Dongnyuk. Lee, S. H., Kim, E. H., Hwang, J. T., & Park, B. G. (Eds.). (2017). Living in risky cities. Alt. Park, B. G., Lee, S. O., & Cho, S. C. (Eds.). (2017). Spaces of exception in East Asia. Alt. Chang, S. H. (2017). Cold War, division, and urbanization. Alt. Kim, D. W. (Ed.). (2017). For public spaces. Dongnyuk. Park, B. G. (2017). New spatial readings of the state. Territory, Politics, Governance, 5(1). Shin, H. B. (2018). Urban movements and the genealogy of urban rights discourses: The case of urban protesters against redevelopment and displacement in Seoul, South Korea. Annals of the American Association of Geographers, 108(2).